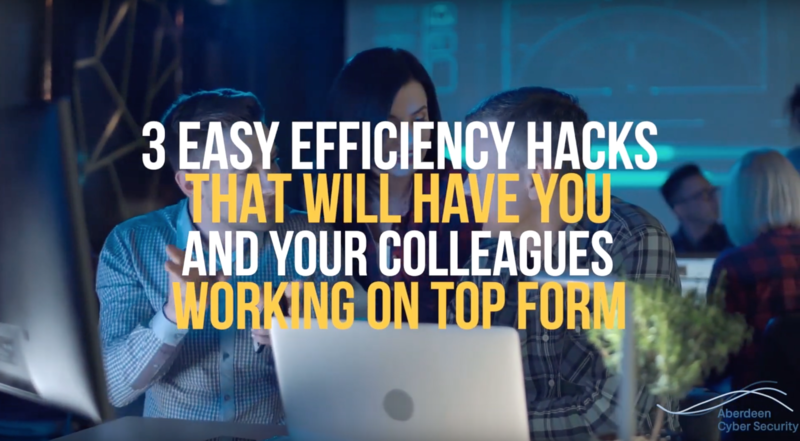 Here are our top three easy IT efficiency hacks that will have your team working on top form. The main bottleneck in modern-day computers is the disk drive. If your business is still running on older hard drives, then getting your current IT provider to upgrade your systems to solid state disks is a must. Then, waiting for the PC to boot up and load will be a thing of the past! This is one of the best ways to give your computer a real speed boost and one of the best IT efficiency hacks. Email can be a real productivity killer. Do you find yourself checking your inbox every time you receive a new message? This can break your focus and concentration. The best way to resolve this is to turn off all email notifications. If you want to be even more extreme, then turn off the majority of notifications. As an alternative, give yourself set times so you can read the emails at scheduled intervals throughout the day. The Pomodoro technique is a time management method. This was developed by Francesco Cirillo in the late 1980s. The technique uses a timer to break down work into intervals, traditionally 25 minutes in length, separated by short breaks. Don’t miss our free pomodoro app suggestion! Don't hesitate to get this amazing freebie on an easy IT efficiency hack so you can learn all the tricks in the field. You have been added to our mailing list so we can send you even more free tips and tricks. As a bonus, you can download the guide today.